Thanks to commercial skylights, natural sunlight can penetrate through a roof. Flat commercial roof skylights are commonly seen on flat roofs throughout the United States. If you’re considering installing flat commercial roof skylights, here are some of the benefits and drawbacks, along with a few considerations and warnings. Perhaps the main benefit of commercial skylights is that they can help you save on electrical costs because your building uses less electricity. Thus, electric expenses aren’t as high, meaning your company can save a considerable amount of money. Furthermore, there’s no need to install a lot of lighting posts along pavements, hallways and other places on your property, which can be exceptionally expensive. Besides lighting posts, you don’t have to pay for other materials, such as wiring and bulbs. Another perk is that commercial skylights provide natural light, which is particularly beneficial during fall and winter. Consider that daylight can have a positive effect on the productivity and mental health of workers. It’s easy to become depressed on dreary, overcast days when there are less daylight hours. Skylights are also environmentally friendly. This is because you save on electricity, which helps to preserve the environment. As a result, there’s not as much damage to the ozone layer as less carbon is emitted into the atmosphere. On the other hand, there are some drawbacks. For example, skylights can give a room too much light, making it too bright. Keep in mind that it can be hard to use a room at certain hours of a workday when there’s too much glare. Fortunately, this problem can be solved by only having skylights positioned on the roof sections that face northward, which can restrict how much direct sunlight contacts a skylight. If locating a skylight on a north-facing roof is not an option, think about placing your skylight higher on your roof. Excess heat can also be a concern. One way this issue is addressed is by using window films, window treatments and glazing, which can help in diffusing direct light or shading a window to decrease the amount of heat. What’s more, this can reduce cooling loads so that you won’t need a larger cooling unit, which saves money. Skylights can have moisture issues from leaks in the area where the skylight penetrates the roof. To avoid leaks, install your skylight above the surface of your roof, as well as place curbing around the base. If commercial skylights are installed correctly, they shouldn’t require much maintenance, other than keeping the interior surface clean and dust-free. 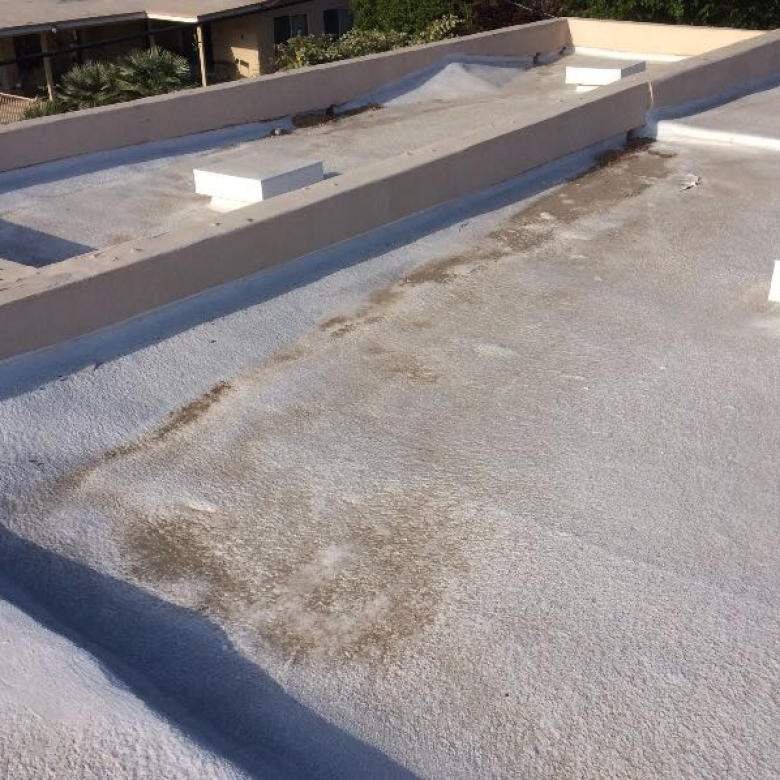 Consider that dust buildup can eventually damage the finish of a skylight, which can compromise energy efficiency. When leaks are ignored, there can be expensive structural damage. 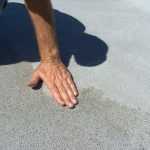 It’s important that you check for signs of leaks, such as noting any stained or damp surfaces. 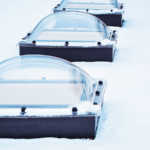 If the glaze portion of your skylight is leaking, check to see if there are any cracks in the plastic glaze component. Inspect the metal frame, which holds the plastic or glass in place, for possible defects. Be sure that the sealant securing the glass and frame is okay. It can be challenging to find leaks in skylights. That’s why it is important to call a specialist who has the knowledge and experience to find problems. Roof repairs should also be handled by a professional. If you don’t feel competent to repair the job, don’t hesitate to call RoofSlope. 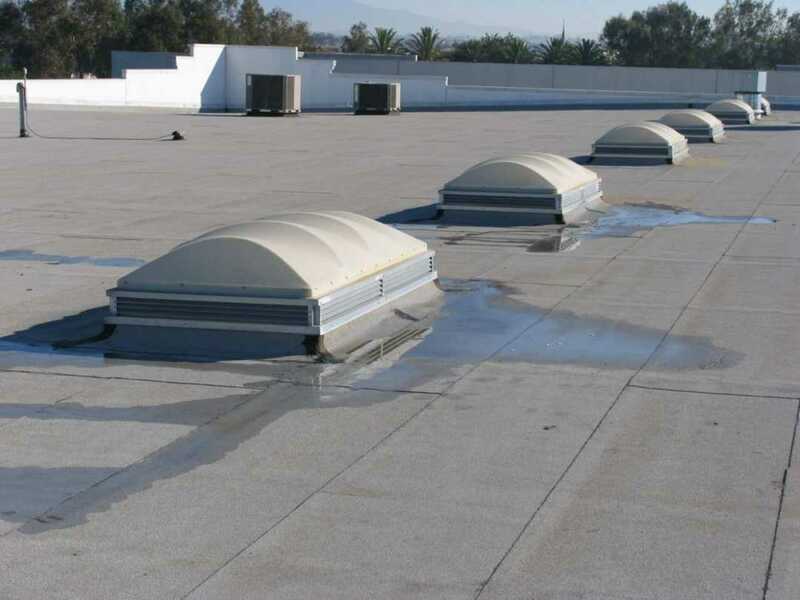 When you install flat commercial roof skylights, it’s likely that water can pool around the curb flashing, which is an issue known as ponding. Therefore, it’s crucial that a roof membrane is correctly attached to the flashing. 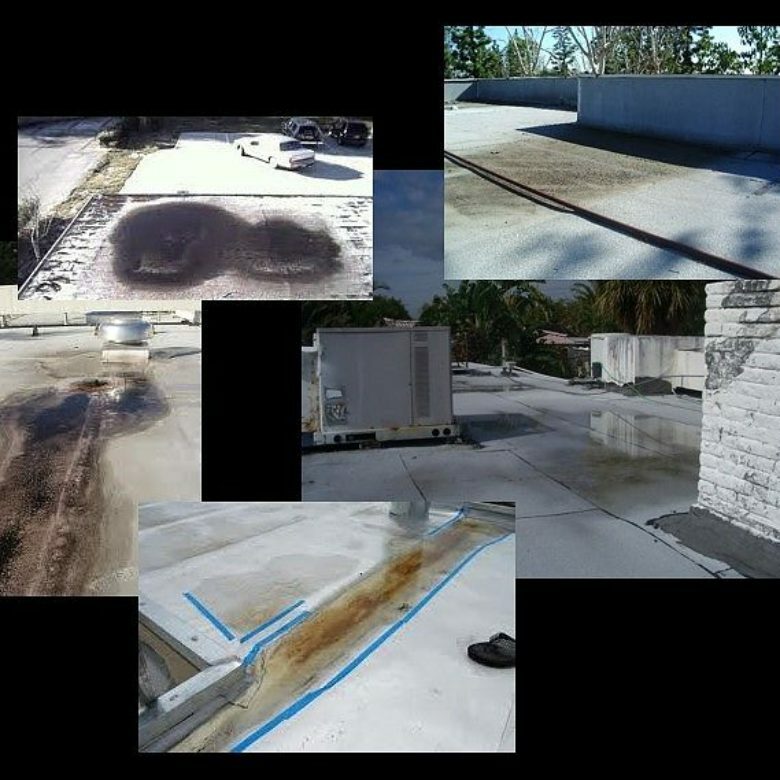 At RoofSlope we sell a product that offers a simple, quick method for filling in low spots on flat roofs so that your roof has a positive slope, which helps it to drain properly. Please contact us.